A trending beauty topic that has been circling around the office and internet is oil pulling. 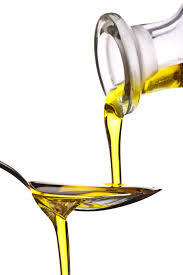 Oil pulling or oil swishing is a traditional folk remedy where oil is swished or held in the mouth. Ayurvedic literature states oil pulling is capable of improving oral and systemic health, including a benefit in conditions such as headaches, migraines, diabetes mellitus, asthma, and acne, as well as whitening teeth. Promoters claim it works by “pulling out” “toxins”, and thereby reducing inflammation. According to an article in The Washington Post, “It’s (oil pulling) been touted as everything from a natural teeth whitener to a cure for acne. Thousands of videos on YouTube espouse the benefits of oil pulling — an Ayurvedic technique that involves swishing an oil in your mouth, much like mouthwash, and spitting it out. In a phone interview, Medina said she began pulling oil six years ago after she experienced a series of kidney-related health issues. She does not have a medical background, but began studying nutrition and natural remedies when she found treatments her doctors suggested to be ineffective or too expensive. She still does it first thing every morning. Kasia Kines, a licensed nutritionist whose Baltimore-based practice is built around holistic nutrition says she often recommends oil pulling to clients as part of her 30- day detox program, which includes a focus on plant-based whole foods, such as whole grains, vegetables and seeds. She doesn’t do it herself, however, because her plant-based diet keeps her healthy, she said. Kines, a native of Poland, said her mother taught her the technique using sunflower oil. Because the oil is relatively inexpensive, Kines says, “it’s very, very practical,” though she admits it’s not for everyone. Those who recommend the technique usually suggest swishing the oil for 10-15 minutes. “For many Americans, it’s not very palatable,” Kines said. The ADA… supports those diagnostic and treatment approaches that allow both patient and dentist to make informed choices among safe and effective options. The provision of dental care should be based on sound scientific principles and demonstrated clinical safety and effectiveness. Oil pulling is far from a sound scientific principle. Collins says that, in his opinion, there’s no harm in it (though if you swallow it, he posits you might have some gastrointestinal issues), but neither is there any solid evidence of benefits. Our honest perspective? Oil pulling has received little study and there is little evidence to support claims made by the technique’s advocates. We welcome your updates, testimonials, and feedback here! http://blog.thebeautymarketplace.net/wp-content/uploads/2014/04/oil.jpg 275 183 Mary Palmieri /wp-content/uploads/2013/04/honestbeauty1.png Mary Palmieri2014-04-28 14:09:152016-10-19 14:17:00TO PULL OR NOT TO PULL?